Loratadine Tablets help relieve symptoms due to hayfever and other airborne allergies such as house dust mite and pet allergies. Loratadine Tablets help relieve symptoms due to hayfever and other airborne allergies such as house dust mite and pet allergies. 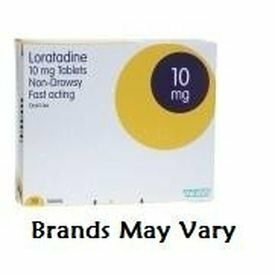 Loratadine may also be taken for allergic skin conditions including rash, itching and hives. One tablet starts to work within minutes and delivers a full 24 hours relief – without making you drowsy.